Fugitives in a wasted land, she and her father, Blue Isle's King Nicholas, plan the destruction of her ruthless great-grandfather. Drawn to a forgotten sacred place in the shimmering Cliffs of Blood, they will find Arianna's long-lost brother, Gift. But an old enmity stands between Arianna and the reluctant warrior Gift, and an ancient Fey prophecy darkens their future--and that of the world. The brilliant epic of the Fey continues in a blaze of beauty and savagery, treachery and enchantment. 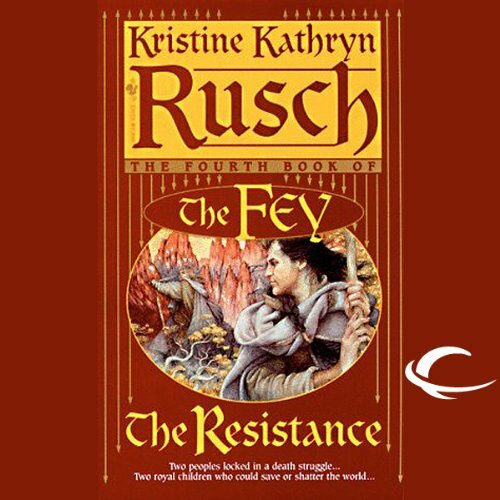 ©1998 Kristine Kathryn Rusch (P)2010 Audible, Inc.
A simple story well told can keep a girl up nights! I'm so fond of the characters that I'm already missing them! Not to be missed.